Named after the Hayao Miyazaki film Nausica of the Valley of the Wind, the multinational four piece band Nausica inhabits a music world as cinematic as its namesake. Over the past few years they have steadily crafted an arresting and meditative sound, sitting at the cutting-edge of pop music. Frontwoman Edita Karkoschka’s operatic lead vocals carrying an emotive quality reminiscent of PJ Harvey while the colorful guitar-lines of Tim Coehoorn, driven by Haim-like shifts, transform their songs into explosive powerhouses. Haunted by melancholia, – the lush and playful bass of Pim Walter combined with the electronic and acoustic beats of Jannis Knüpfer, – served straight up, frame an ever-present sea of hypnotizing, positive vibrations. 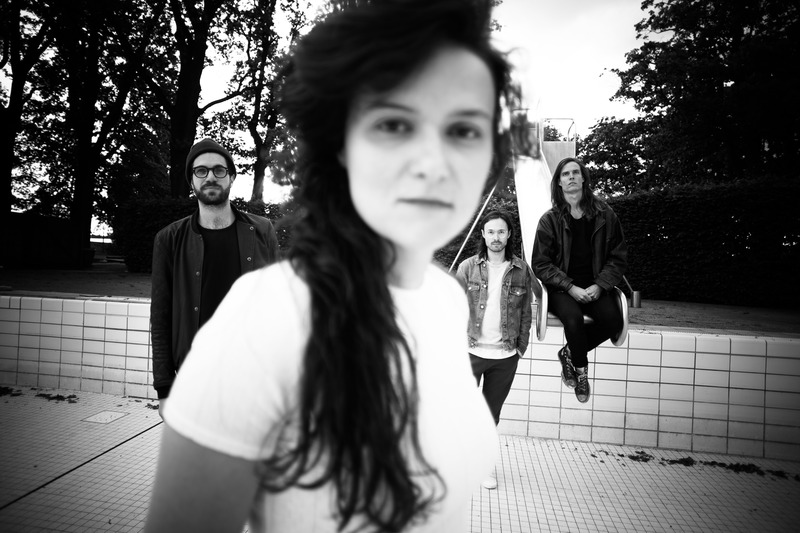 I feel it in my chest, fresh air – a vagabonds’ precious heir are not only words of their song Heidi, but according to their frontwoman, also describe the direction they are heading. Their music is sweet, with an edgy undertow. An pulsing energy that invokes a constant urge to dance. It should come as no surprise that the members of Nausica are as different as their influences. With members hailing from The Netherlands and Germany, the band has managed to not only survive but thrive with multiple cultural influences. After a warm response to their last international press releasing, ‘The Molecules Fall Closer’ in 2014, the band will release a new EP this December including their brand-new single’s “Hey You” and “Okay”. With the quartet’s love for visual experience, an ongoing collaboration with fashion designer and illustrator Sarah Knüpfer, began with the styling for their latest videos and has equally extended into their stage performances. Reflecting Nausica’s international character, the band has toured throughout Germany, Italy, Belgium and Switzerland. In the Netherlands they’ve established a loyal fanbase after a string of high profile Dutch events including Valkhof Festival, Noorderzon Festival, Mañana Mañana and Le Mini Who. 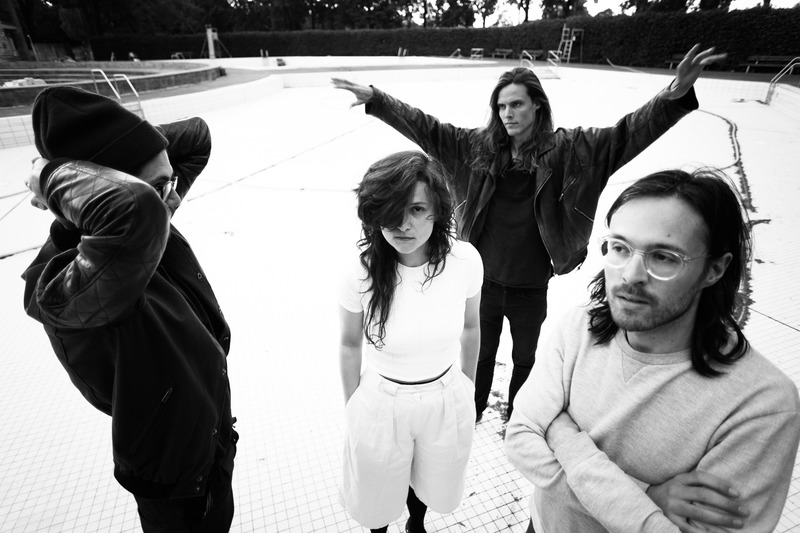 They’ve also supported Son Lux at the sold out performance in the MC Theater in Amsterdam, and Dutch band De Kift in Arnhem, and made a live appearance on Germany’s largest radio station, “1LIVE” and Dutch radio station “3FM”. 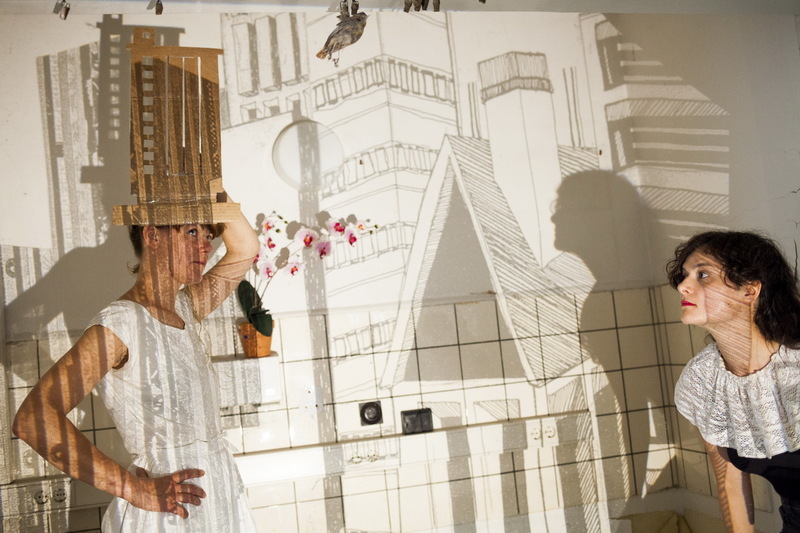 Koschka & Heimprofi is a performance duo based in Arnhem (NL). Since September 2012, they have been working together and experimenting with the combination of live-cinema and music. 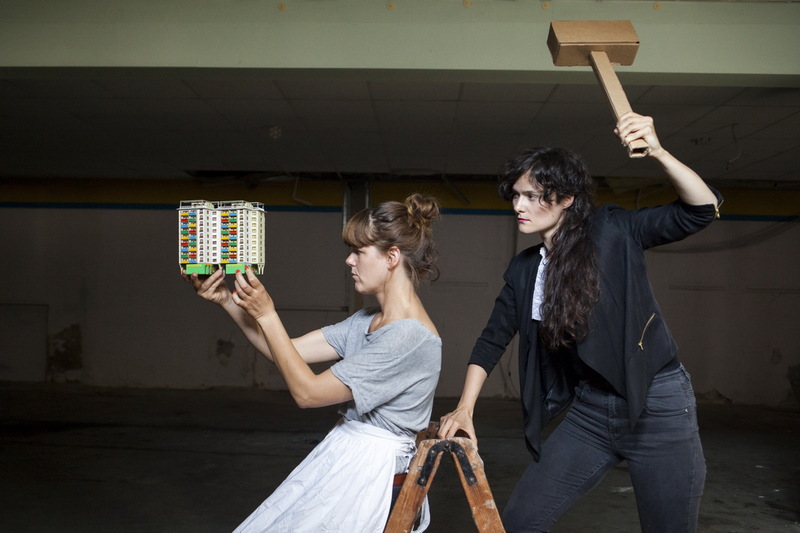 Their first project was called ‘Bestattung Heimkehr’: surrealistic stories about nostalgia, loss of home and the melancholic feeling attached to objects that where once so importaned. During a concert performed by Koschka, Heimprofi generated live-video images that were projected directly on Koschka as well as on the walls of the room. The live-video images came into existence by holding objects and images in front of the camera. The bounding element in this project was a book as in; diaries, photo albums, agenda’s, journals etc.. By leafing through the book – in front of the camera – during the performance the audience was taken on a visual journey that connected to Koschka’s stories. Every song was enveloped or supported by a small visual universe that came into existence during the song and collided again. This growing and colliding transported the feeling of movement, not being able to hold on: people observe – images of death – symbols of gathering – abandonment drenched in a strong will and hope. Koschka’s songs and her lyrics are directly connected to her experience as a foreigner, being torn between two countries. This search for „Heimat“ is a driving force to write and tell her stories. On another level, an inter cultural dialogue starts with the two persons themselves as Krista and Edita both live(d) in foreign countries, from that aspect their personal and artistic development is mixed in terms of relation to place, space and identification. Combined with Burger’s interest in the build surrounding it is exactly this psychological relation to place and space that they want to examine further in their collaboration. At the moment Koschka & Heimprofi are working on a new performance with the work title ‘Disorientate us for a while’. Imagine the universe as loaf of raisin bread rising in the oven. As the bread bakes, it’s stretching in all directions – like space does. But the raisins aren’t growing, they’re just getting carried away from each other as there’s more bread expanding around and between them. This contradiction of the understanding of our relation of space (it is space that is changing and not the physical us) is what they are focusing on by interviewing people who are living in completely different set-ups of reality and space, but who are connected to each other through the alienation of contemporary ways of socializing and their reality to death. On the basis of their personal stories of the perception of space, combined with research text on the psychological aspect of that we want to create a new performance that deals with sound and objects of a subjective perception of space. In 2016 they’ve been part of the A-I-R Fill The Room currated by Mirka Farabegoli (art initiative Derde Wal). Described as a tightrope walker, singing folk tunes with a loop station, marrying a fragile song to the distortion of her keyboard, singer-songwriter KOSCHKA made her solo debut with beautifully minimalistic new single The Flood out on 13th July via Part du Decor Records. Already the lead singer of indie-electro quartet Nausica, who recently released their cinematic new single Black & White, KOSCHKA started out as a solo project in 2012 and performed with live-cinema artist Krista Burger (NL) as Koschka & Heimprofi in several European countries, a.o. as a support act for Son Lux (US). The Flood is the first single taken from her debut album, which will contain a combination of her own songs and re-arrangements of classical German songs from composers such as Franz Schubert and Robert Schumann. 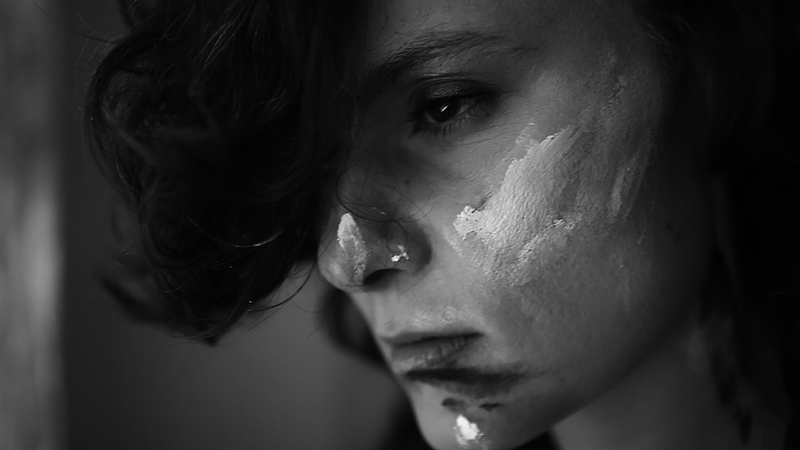 While KOSCHKA is not a classically trained musician, she works extremely intuitively and manages to combine her classical interests with her love of PJ Harvey and experimentation to create something gently genre-defying. Recorded in one take, The Flood is a laconic piece of captivating piano-pop already making waves and and absorbing listeners with its poignancy, intimacy and the gentle sounds of a muted piano. Currently KOSCHKA is based in Berlin and working on her debut album which will contain careful selected and re-arranged old classical German songs combined with some of her own. Cast Glass is an art-pop band around composer Marco Mlynek and producer Marc Alberto and based in the Netherlands. Currently they’re working on new compositions from within a new formation. In their debut release Cast Glass EP (rel. sept 2014), a collection of songs from 2011-2013 performed by a twelve-piece ensemble, Edita Karkoschka was the voice of the main band amongst Marco Mlynek (piano/ synth/composition), Marc Alberto (live electronics/EWI/sounddesign), Iris van der Ende (harp) and Max Hilpert (acoustic&electronical drums). The record resulted from a production process spanning that period, starting from arrangements of their songs for string-quartett and woodwinds. Produced and reworked by Marc Alberto into intricate concrete-like collages of live acoustic performances, quirky sounds and analog electronics. The dense production and orchestration does not serve technical display, it creates a stand-alone sound world that allows for new discoveries every re-listen. The child-like lyrics sung with soft vocal delivery that lights and opens up this world with a note of playfulness. from Chris de Krijger on Vimeo. Cast Glass – Grow Old With from Cast Glass on Vimeo.